Field Strength Calculator One is a program which will calculate expected received ground wave signal strength at longwave and mediumwave frequencies. To download, see the link at the top of the right sidebar under LATEST PROGRAMS. The sidebar at the top right will have the most current link in case the program is updated. The link will change in the case of an update, so I would avoid copying and pasting it into a forum or other web page. Come to the main page of this blog instead. Being a mediumwave DXer and particularly a daytime mediumwave DXer, I wanted a way to determine a "ballpark" signal strength for various stations not only in my immediate area, but out to 100, 200, or even more miles distant. I was unhappy with virtually all the web-based signal strength calculators found on the internet, as they use the vanilla Inverse-Square-Law to calculate signal attenuation. Fine, if you are in an outer space vacuum or on a perfecting conducting surface, but not even close in accuracy for normal people here on Mother Earth. The few stand-alone programs out there were either wildly expensive, too complicated to use, inaccessible, or plainly won't work on the Windows platform. I set out to accumulate information, formulas, and data to start writing the field strength calculator program. Investigating the history and ferreting out the pertinent information to arrive at a simplified formula that was reasonably accurate took some time. The result was and is Field Strength Calculator One. It is based on the work of numerous engineers and mathematicians, who, starting about 1909, spent some 50 years developing the extremely complicated formulas to predict accurate signal strength at mediumwave frequencies. The basic, simplified formula has been known since the 1930s, being slightly modified by various people and agencies since then. It is accurate to within a couple of percent of the big programs that calculate field strength - those using additional input like the transmit and receive array heights above average ground, and the earth's topographic elevation changes along the signal path. Simplified ground wave electrical field intensity calculations can be made by the introduction of a shadow or diffraction factor in the Sommerfeld-Norton planar earth expression. A mouthful! This simply means that a factor is computed and introduced to account for the additional attenuation caused by wave diffraction out beyond the radio horizon. It permits one to calculate the ground wave E (electrical) field well beyond the geometric and radio horizon, where E field values are close to the atmospheric noise level. Be sure to read about the history of how this fascinating formula came about in the recent article on RADIO-TIMETRAVELLER: Field Strength Calculations: A History. Many of the terms used in the previous and next paragraphs are explained. The simplified formula used by Field Strength Calculator One takes into account Sommerfeld's original plane earth theory, modified by diffraction factoring. It uses an exponential function which takes into account the spherical earth diffraction effects, and acts on the planar earth equation even before the radio horizon is reached, so the resultant E field values, as a function of distance produce a continuous curve, thus rounding-in difficult intermediate distances. The long-accepted concept of "numerical distance" (p0) and "phase angle" (b) are used in all calculations, two variables determined by frequency, distance, and dielectric constants of the ground as a radio conductor. Numerical distance depends not only on frequency and ground constants, but also on the actual distance to the transmitter. Phase angle is the measure of the power factor angle of the earth. Field Strength Calculator One returns expected received field strength in millivolts per meter and dBu (also known as dBµV/m), based on ground conductivity, earth dielectric and several other input constants. It also displays the distance to the radio horizon and the signal path loss in dB, along with several more technical parameters. The resulting output of Field Strength Calculator One should be accurate in most cases to a couple of percent in the longwave and mediumwave bands. It compares favorably to ITU program GRWAVE and currently available FCC Ground Wave Conductivity graphs. Field strength calculations by Field Strength Calculator One are based on the works of A.Sommerfeld (1909), B.Rolf (1930), K.A.Norton (1936), H.Bremmer (1949, 1958), NTIA Report 86-203 (1986), ITU-R P.368-7 (1992), and NTIA Report 99-368 (1999). For further information on how field strength is calculated see the Field Strength Calculations Series previously published on RADIO-TIMETRAVELLER. Install is simple. Download the .zip file and unzip. Click on the FieldStrengthCalculatorOne.exe file to run. This program makes no registry changes and saves no data to your hard drive. It has been developed and tested in Windows 7. It should work fine in Windows Vista and XP environments, and Windows 8. It is written in the old standby Visual Basic 6. Included in the .zip is a readme.txt file. Be sure to have a look. I hope you enjoy this program and find it useful. Was trying to get into contact with you via Email and eventually voice contact if possible. 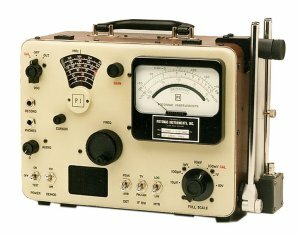 Am looking for reviews, schematic diagrams, and like info for the Tecsun PL-660, especially circuit diagrams, and moticed your fine Blog happened to mention the PL-600. Any schematic info's on the PL-660 ? Sorry, I don't have any information on the Tecsun PL-660. I don't own one and may not get one at this point. The schematics for the PL-600 actually came from another site. All reviews that I have are contained on this site already. This is quite interesting, and a good start. :) I was wondering if a couple features / mods could be added? For another, I'd like to be able to find field strength (or distance) along a path with multiple varying conductivity values. Ideally it'd be nice to include FCC conductivity data, calculate based on coordinates, and have it somehow display on Google Maps (G Earth doesn't run well on this computer). 19.33 km of 8 mS/m. Total length is 316.766 km. This video shows reception of that station at the end of that path. Another example I'd want to calculate would be my reception of 700 KALL here. When I previously tried calculating it using the charts it fell off the bottom of the chart. Yes, finding the distance at a specified field strength would be a great addition. Unfortunately, the math involved is beyond my abilities. Part of the problem is that the distance figure is required in three separate parts of the simplified formula in order to arrive at the ultimate field strength. It might be possible to use the computer's brute calculating power to test numerous distances and find the one that matches the prescribed mV/m level desired. I'll look into that when I get the chance. I have studied it a little in the past but have not come up with a way to program it or correctly interpret the data just yet. Your KTMS Santa Barbara station looks to be almost entirely over water path. It would be interesting to arrive at an accurate field strength value for that one. KALL-700 in North Salt Lake City is an interesting one to me as well. It's main lobe points directly at me here in southwestern Arizona. That, combined with what I believe to be much greater ground conductivity than what is indicated on the maps (probably 30+ I think), produces a copyable signal here even at high noon on a simple radio - a distance of more than 500 miles. It is a spectacular example of what difference ground conductivity makes on signal propagation. Thanks for publishing Feld Strength Calculator One. I've been trying to use it and GRWAVE for the first time. I just got GRWAVE to compile and run. Right now, I'm looking to do a test run of these two programs that will confirm their consistency. Could someone help me out by providing a set of input arguments for each program that will run the same or very similar calculation? So then I can compare them? I'm still learning what all the input arguments are. Bill, I have some ideas to pitch to you if you're available for email discussion. I'm looking to parallelize a MW propagation algorithm for a research project in graduate school. I'm looking for algorithms to implement and also for existing implementations to use as evaluation references. My context is twofold. I'm working with some radio engineers wanting modern propagation software; and, in my research, I'm looking for real-world use cases of software that could be parallelized using experimental multi-core and GPU techniques. Thanks for your comments. Sorry for the delayed reply. I have been out of the country for the last 3 days (Mexico). Feel free to email. I'll try to answer any questions you might have. The Field Strength Calculator formula is certainly not new, and is a simplified Norton formula originally dating back to the late 1930s. I couldn't begin to tackle the modern formulas, they are way beyond my math abilities.